For the first time, the Magazine Salon will take place during the Duesseldorf Photo Weekend 2014. 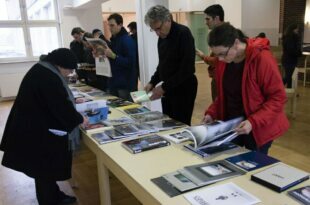 In the form of a pop-up library, it will give an overview over the contemporary photography-related magazine culture. The visitors are invited to take a breath, sit down and skim through a fine and diverse selection of international magazines with and about photography. The Magazine Salon will take place at the NRW-Forum and is organised by dienacht Magazine Der Greif and Kraut Magazin. If you’re part of a photography-related magazine and we haven’t got in touch with you, please get in touch with us.